Early this morning Alex Roarty and Patrick Gleason, reporting for McClatchy, wrote that "Joe Biden is everything a Democratic political consultant should love: He’s experienced, well-liked, and his poll numbers look great against Donald Trump." And we are sticking with our assessment that he's one of the worst of the Democrats who want to be president-- if not theworst. His back to normalcy approach would lose to one of two outcomes: another term for Trump or another horrible, pointless presidency. And, according to Roarty and Gleason we're not alone in thinking Biden would be a catastrophe. Think about this headline: Weaker Candidate Than Hillary. "Many party strategists," they wrote, "have a bleak assessment of his potential 2020 campaign: It’s a bad, bad idea." 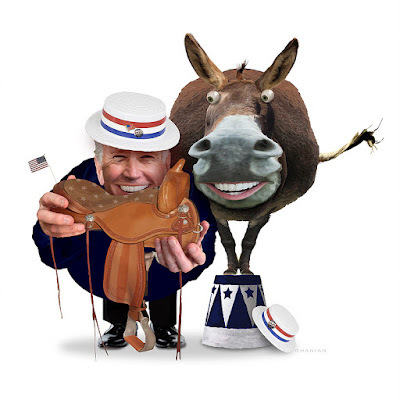 McClatchy interviewed 31 Democratic strategists-- pollsters, opposition research experts, media consultants, ex-party officials, and communications specialists-- from across the country about a potential Biden campaign. Nine agreed to speak on the record; all others quoted anonymously do not plan to be affiliated with any candidate running in the presidential primary. Strikingly, these conversations yielded a similar view: The Democratic political community is more broadly and deeply pessimistic about Biden’s potential candidacy than is commonly known. 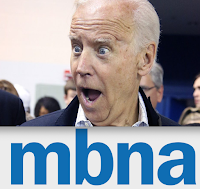 While these strategists said they respect Biden, they cited significant disadvantages for his campaign-- from the increasingly liberal and non-white Democratic electorate to policy baggage from his years in the Senate and a field of rivals that includes new, fresh-faced candidates. Many of these strategists say that if Biden did win the nomination, they don’t think he would have a better chance of defeating Donald Trump than other top-tier contenders such as Kamala Harris or Kirsten Gillibrand-- disputing the claim from many Biden supporters that he represents the safe choice in an election when rank-and-file voters are desperate to win back the White House. But for a candidate who might expect to enter the race as the favorite, the skepticism could be a wake-up call-- particularly coming from a community of men and women that should be naturally more optimistic about a longtime party leader. The danger for Biden, however, is that these strategists act as a leading indicator for how many voters will ultimately feel about the former vice president after months of a rough-and-tumble campaign. Because while voters might not yet be familiar with Biden’s record, the party operatives are-- and they worry about what they know. They also say Biden will be criticized for less popular parts of Barack Obama’s presidency (such as mass deportations) and his insistence even now-- at a time when Democratic voters view Donald Trump and the larger GOP as one in the same-- that bipartisanship with Republicans is essential. Even his well-known penchant for gaffes, once seen by many rank-and-file Democrats as endearing, will take on a new context amid the harsh scrutiny of a presidential campaign. The community of Democratic strategists is large, diverse, and rarely agrees about anything. It would be wrong to say that all of them think a Biden run for the presidency is a bad idea, when many interviewed for this story say they think there’s more room for a moderate candidate to succeed in a Democratic primary than is widely believed. Others say that in what might become the largest field of Democratic candidates in a generation, they have no idea how to handicap Biden’s chances-- or anyone else’s for that matter. Biden would be a strong candidate, they say, but so would many of the front-runners-- in part because they believe the classic formula for a successful presidential campaign has changed in recent years. Whereas once candidates once won by winning over moderate voters, the emphasis now is on which candidate can best drive turnout among the party’s electoral base. Are there worse candidates than Joe Biden? Oh, yeah... Kirsten Gillibrand, Michael Bloomberg, Terry McAullife, John Delaney, Seth Moulton, Michael Bennet, John Hickenlooper are all even worse. And maybe Amy Klobuchar as well. Biden is Worse than Hillary! Again, President Obama gets a complete pass. I used to think that $hillbillary was the only democrap that could ever have lost to trump. I'm realizing just how wrong I was. The question is: is this an indictment of the democrap party? is this an indictment of voters? is this an indictment of the usa as a whole? The party trolls who hang out here to defend the indefensible can report to their paymasters that I will not vote for Biden. paranoid much? whatever. if biden is the nom, there will be 20 million who will not vote for him. he's that bad.